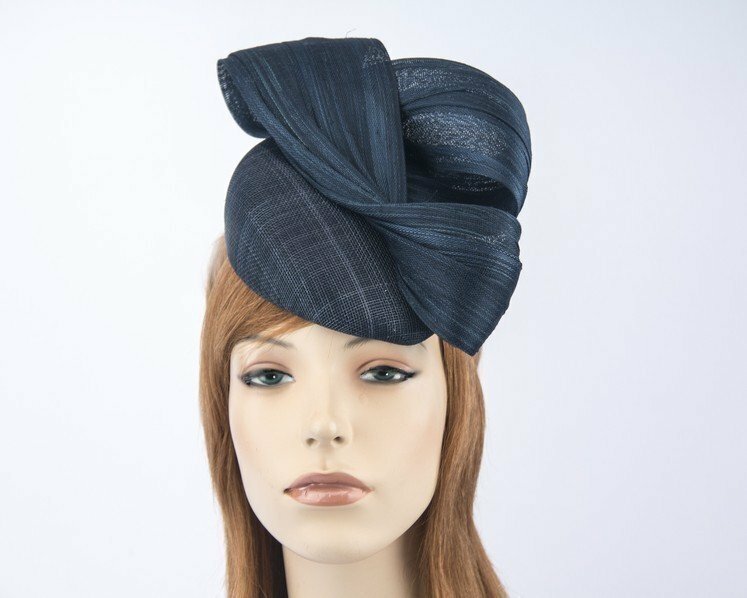 This beautiful navy pillbox hat with elegant trim from famous Fillies Collection. Hand made in Australia, this pillbox fascinator will turn heads when you wear it at Melbourne Cup races. It has an elastic band for comfortable wear. Each Fillies Collection fascinator is hand made in Australia to order, so allow few days for creation of yours. Hats From OZ is an exclusive online retailer of Fillies Collection ladies fashion hats and fascinators.